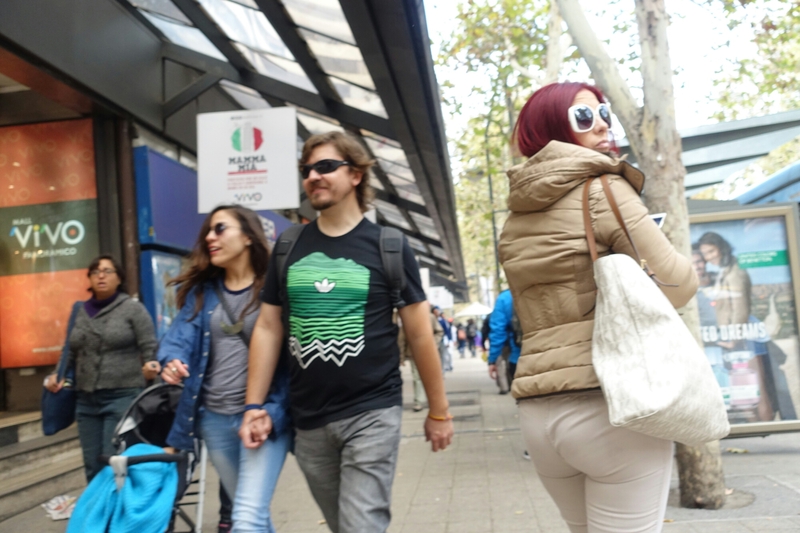 Walking along a stretch of Avenida Providencia in Santiago, Chile, it has all the atmosphere of a modern commercial shopping district. 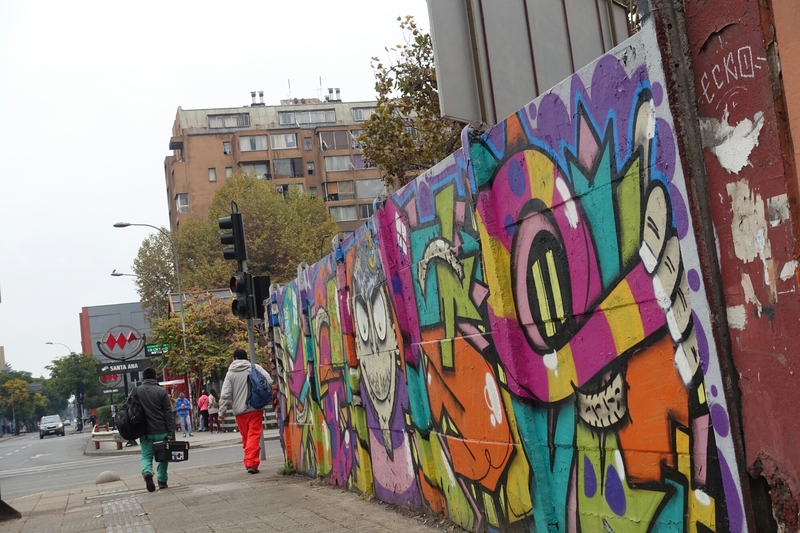 Graffiti decorates a wall near the Santa Ana metro station in Santiago, Chile. 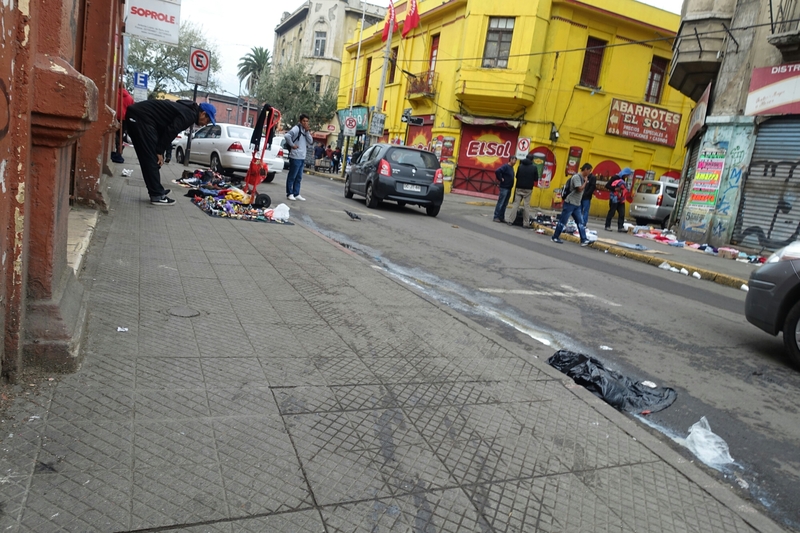 This was one of the grittier streets that I wandered through while exploring in Santiago, Chile. 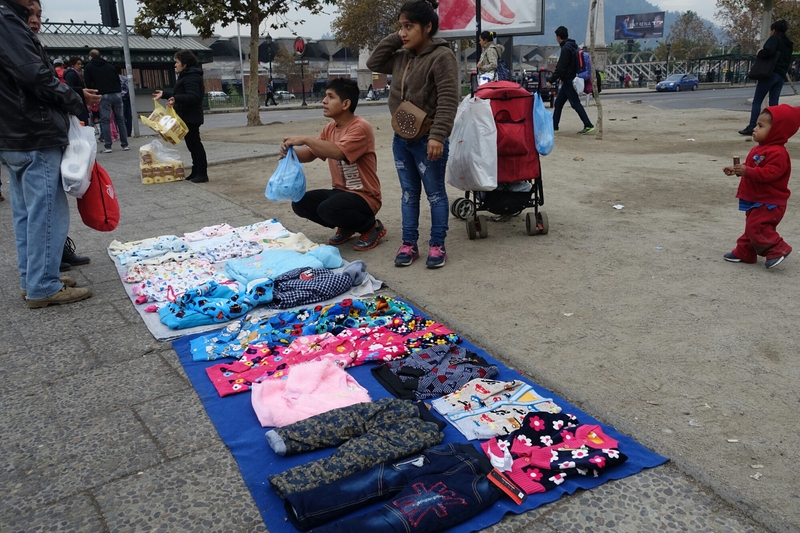 A clothing vendor makes a sale on the streets of Santiago, Chile. 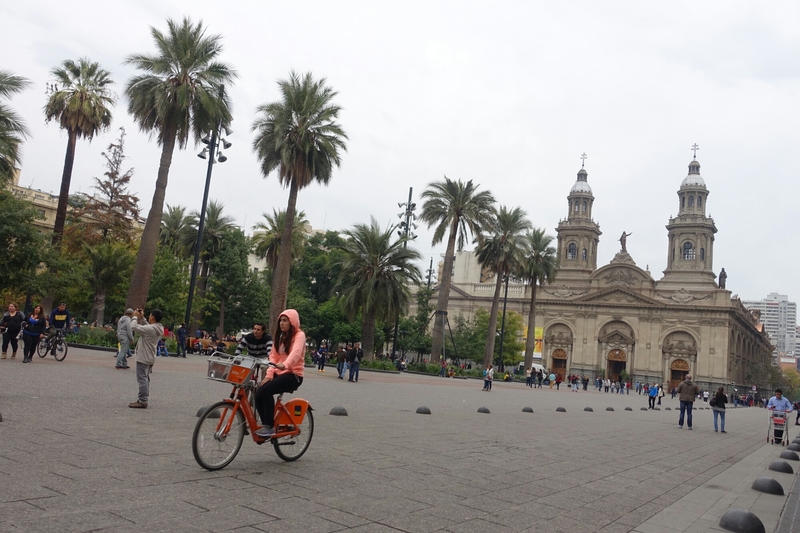 At the heart of the country is Plaza de Armas, with the Catedral Metropolitana beside it, in Santiago, Chile. 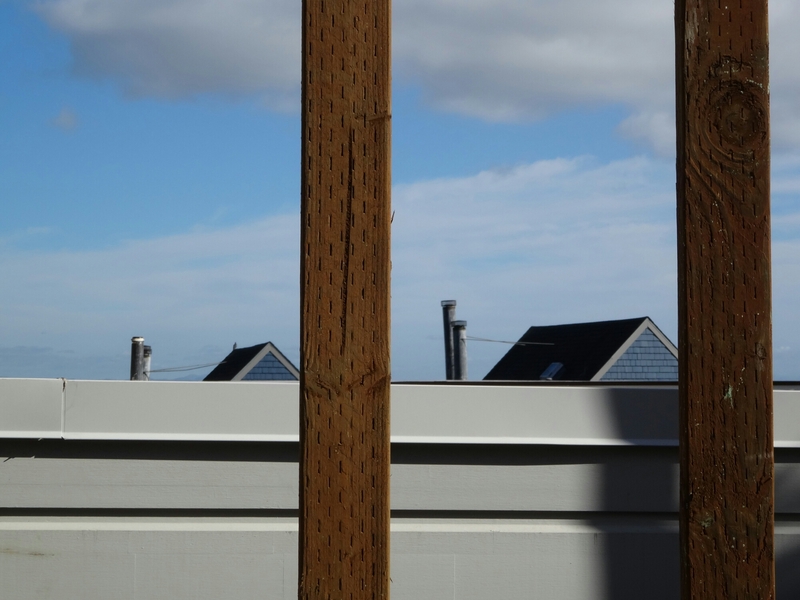 Only the twin blue roofs are visible behind a fence and two wood posts in the Twin Peaks area of San Francisco, USA. 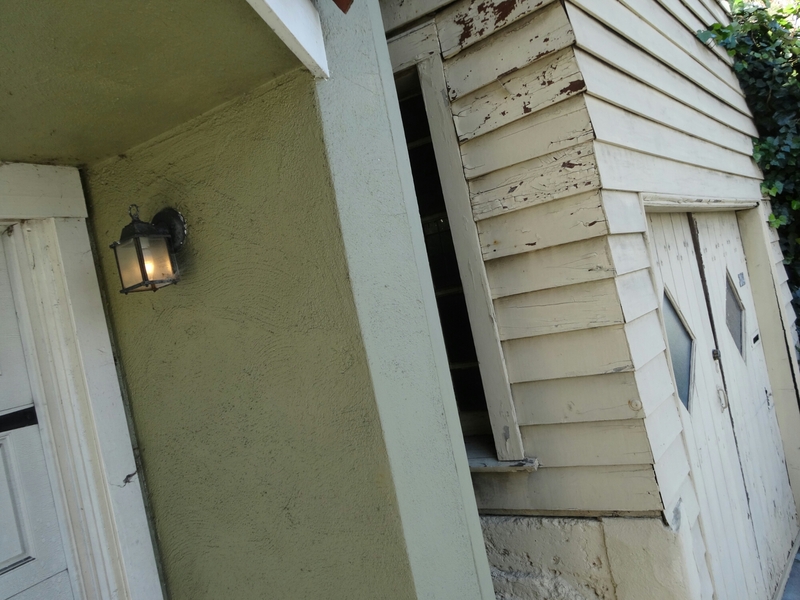 A light left on in the Twin Peaks area of San Francisco, USA.